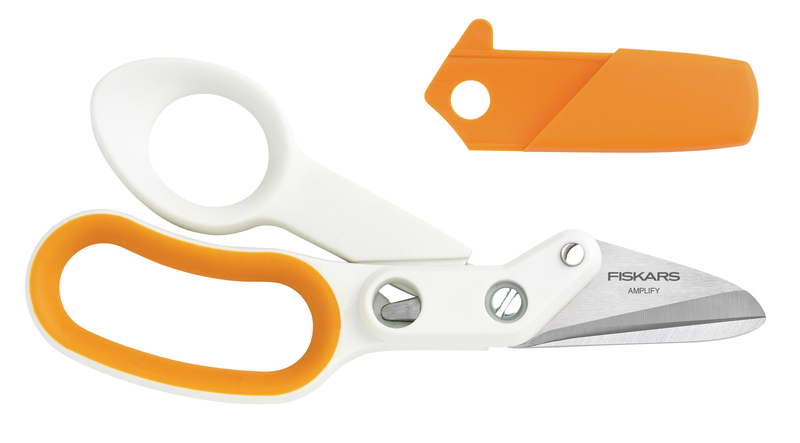 Now is the perfect time to start fresh with some new Christmas crafts. One way you can plan ahead is by looking backwards; every Christmas, you create new memories with your family that you can now cherish by using them as inspiration for your new craft projects. The editors at AllFreeChristmasCrafts have been searching for the best ways for you to create Christmas keepsakes for the new year, so take a look below to find out how you can begin preparing for next year while celebrating the last one. Folded Christmas Cards Ornament – There are always a few outstanding Christmas cards that you may want to keep, but don’t have room for. If that’s the case, put them to good use by turning them into a truly one-of-a-kind Christmas ornament. 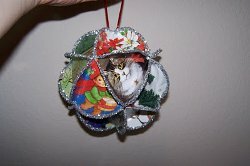 What better way to appreciate beautiful cards than by turning them into a handmade Christmas ornament that you can put on display next year (not to mention, this is very cost effective). Little Hands and Feet Rug – Your little ones are growing every day, and now you can preserve the way they were in a new way. 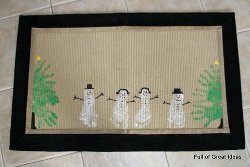 Have them help you decorate a cute little doormat that turns their little footprints into cute little snowmen. 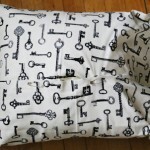 Not only does this make for a timeless decoration, but also a fun craft that the whole family can do together. 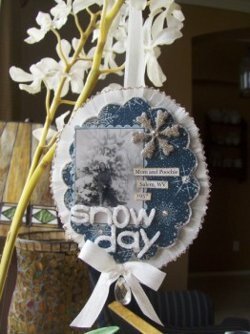 Commemorative Snow Day Decoration – Winter isn’t over, which means there’s still plenty of time to keep up some snow-themed decorations. Print out your favorite picture from this year’s Christmas and show it off with an embellished chipboard frame that you can hang anywhere. Christmas Scrapbook Layout – Scrapbooks are a classic way for crafters to save their favorite memories from each holiday, so make sure you pick a design like this that has real style. This project includes a video tutorial so you can follow along every step of the way and make sure your next Christmas album really pops. Stash Crafted Wrapping Paper Snowman Ornament – Wrapping paper is often recycled right after the gifts are unwrapped, but if you held onto any, you can design your own recycling craft for next year. Learn how to design 3D ornaments using a paper craft technique that really comes in handy when you’re trying to cut down costs on decorations. 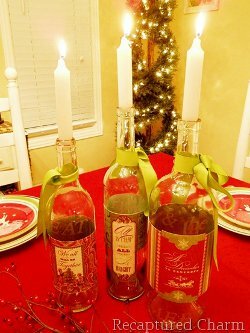 Refashioned Wine Bottle Candle Holders – If you held any parties this year or are just a fan of collecting wine, you may find yourself with a stockpile of empty bottles after all of the Christmas events are over. Fear not, because a gorgeous bottle can also make a gorgeous candle holder. You can fondly remember the fun you had every time you’re at your table. 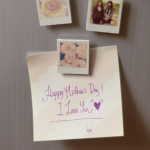 Sizzix Frame and Frame Back – You might prefer something simpler; find your favorite photos from the holiday season and put them in cute little frames that you can keep in your bag or place around the house as decorations. How do you commemorate Christmas? This is one of my favorite projects of all time. It makes my heart happy every time I see it. I love these frames! I made this wall collage for my sweet mom for Mother’s Day last year. Needless to say, it was a HUGE hit. And it’s super easy! 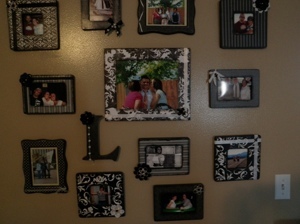 I just bought the frames at the craft store (they are $1 each) and gathered together corresponding scrapbook paper. 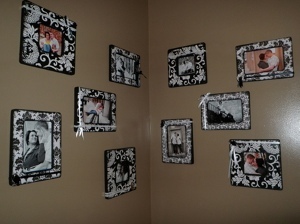 Paint the frames (the edges) and then Mod Podge your paper on. Remember to rub, rub, rub out all the bubbles. Apply a couple top coats and let it dry. 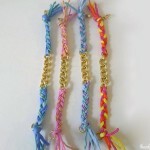 Embellish with ribbons, flowers, beads or whatever else you want and hang it all up. Here’s a tip: if you are making a collage like this, trace the frames onto paper and cut them out. Then, using tape or straight pins, create your design on the wall. Once your design is perfected on the wall, put the nails in and hang it all up. It’s so easy! Up next: a cute and easy way to keep all your hair accessories and tools organized. Sometimes I have brilliant ideas and this was one of them! Today is my grandfather’s 92nd birthday. It is difficult to think of an appropriate gift for someone of that age; someone who has everything and needs nothing. But my grandfather – no matter how gruff he can be – has always been a sentimental guy. My mom prints everything I write for him to read, and he reads and saves it all. He even still occasionally wears the baseball cap I gave him when I was in 3rd grade that has a screen print of a Picasso painting that I drew with oil crayons. So I knew creating something from scratch would be the perfect way to give my grandfather something he would appreciate. His living room is full of family photos, so I figured giving him a recent photo of my brother and me in a handmade frame would be a nice gift. 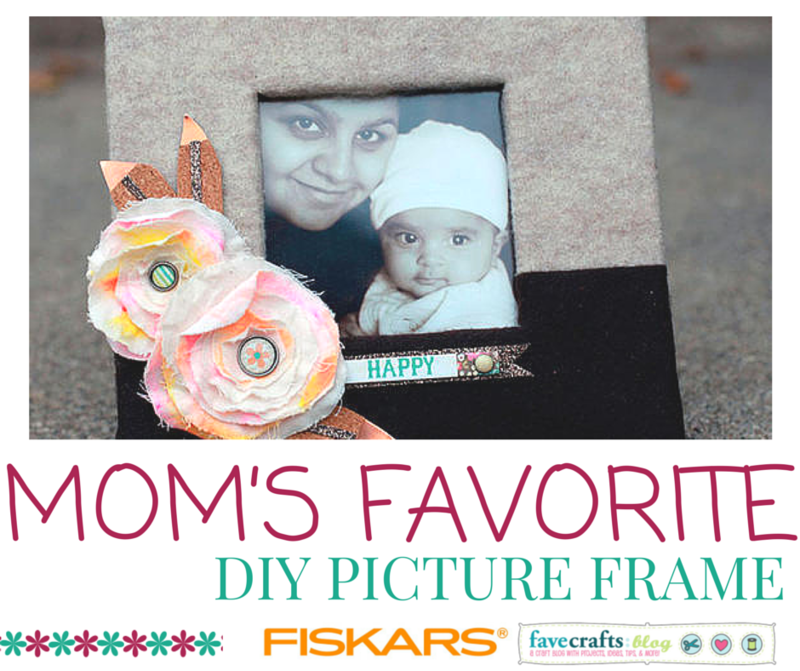 I am a big fan of the embossed metal frames (pictured below) on FaveCrafts, but not having a lot of time to work on this project, I instead decided to create a collage frame. Since this was a project I had done previously, I got it together pretty quickly and it looked great! I am hoping he likes it when I take it to him on my next visit. 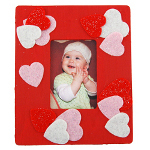 If you’re looking for a great personalized gift for someone who has everything, try a frame. 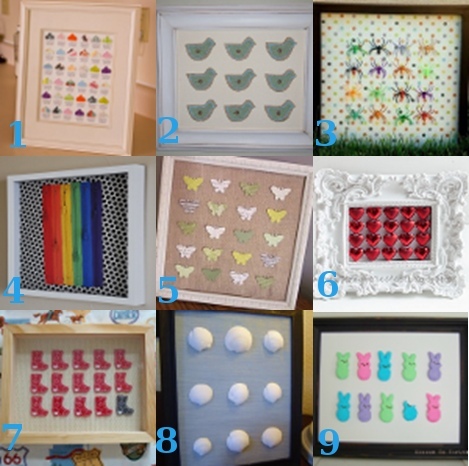 FaveCrafts has a number of great handmade frame projects like the ones above. 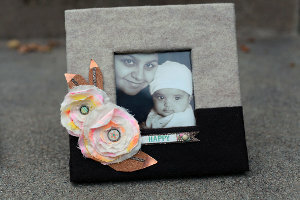 Check out the button mirror frame or the beaded daisy frame for a fun and easy project.